When we can no longer be active in an apostolate, we get to become what we call an Adoration Sister. 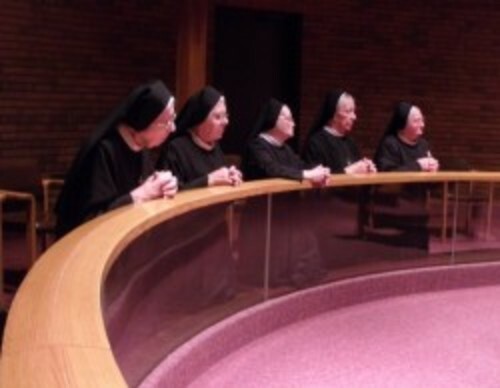 These Sisters spend time before Our Lord in the Blessed Sacrament in our San Damiano Adoration Chapel in Alton, Il. 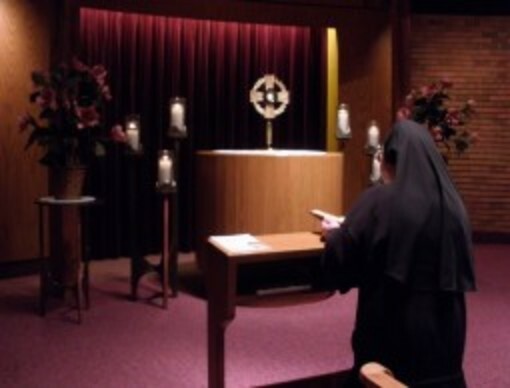 These Sisters pray every day before the Blessed Sacrament and bring many intentions with them. Below are quotes from our Sisters who have shared the intentions that they bring with them each day, the importance of prayer in their life and vocation, and the richness that comes from living a life faithful to Christ. We are grateful for these "prayer warriors" who intercede on our behalf: for the needs of our Congregation, the Church and the world. When I go to the Adoration Chapel I pray for many people: parents, family, people who are sick, those who are good to us, those who take care of us, and anything that I am asked to pray for. I want to pray before the Blessed Sacrament because God is there and I know that the He died for me. I want to come to Him and thank Him for this. When I went to Brazil as a missionary I knew we needed Jesus or we could not do our work there. 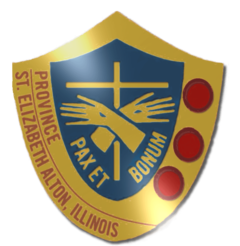 We had so many intentions with our work, the people there, and for our Sisters to continue the work we had started through evangelization. I would always go to the Chapel to pray in between my work. I prayed that all might come to Jesus. The people there had a strong faith. Prayer depends very much on the Catholic family. My parents were very Catholic and my Father would always take us to Church, which was far away. At that time we never talked about going to Confession, or going to Mass. We just went and that was understood. I pray a holy hour every day in our Adoration Chapel. Sometimes when I’m praying people will come up to me and tell me their prayer intentions. I pray for whatever people need or ask for. During my time there I always pray for family, those living and deceased; for neighbors, and for our Sisters. I want to pray in front of the Blessed Sacrament in the Chapel because He is there! When I pray most of my intentions are for good Priests. It is so important for us to pray for them. We need them for Mass, for Confession, to be in schools, for religion. I also pray for the Church which means for the people, the priests, and for everybody.